It looks like the saga surrounding the official Android 4.0 Ice Cream Sandwich update of the much beloved HTC Desire HD is finally over, folks. 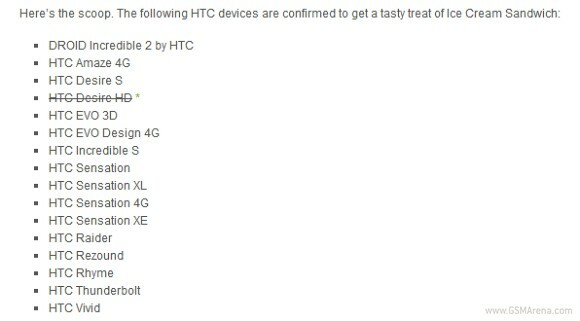 HTC have officially removed the 2010 Android monster from the official list of devices scheduled to get the ICS treatment. This means that, should they want to see their device run a more up-to-date Android version, the owners of the HTC Desire HD will have to install it in an unofficial fashion.